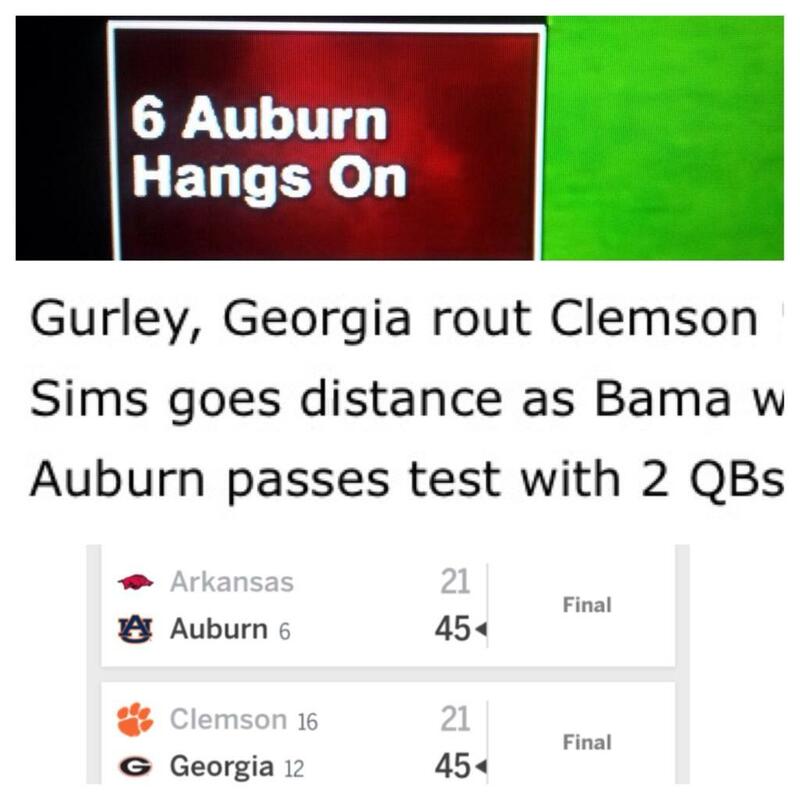 According to the dude manning the SportsCenter countdown sidebar thing, Auburn barely held on to beat Arkansas… by 24 points… while Georgia routed Clemson (BY THE EXACT SAME SCORE). 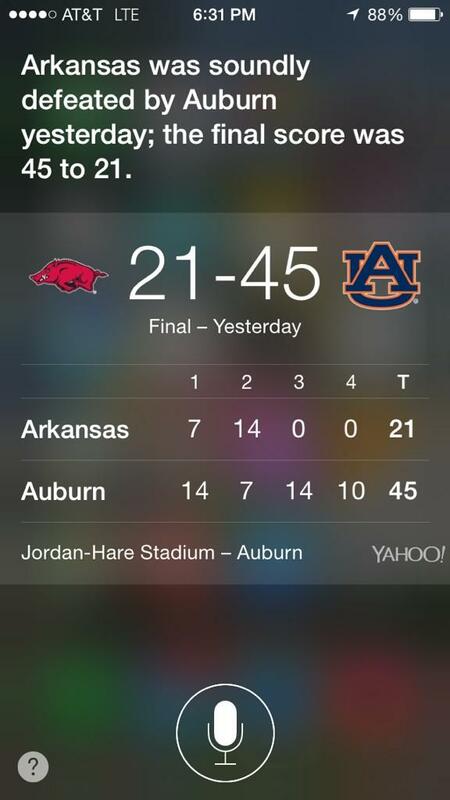 But according to Siri (and God and everyone else), Auburn crushed, i.e. 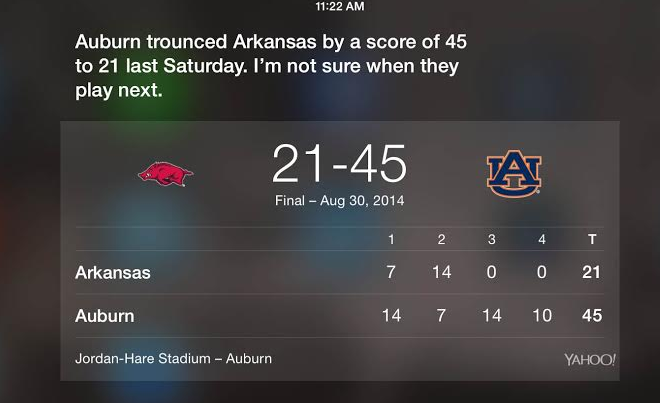 soundly defeated the Hogs. 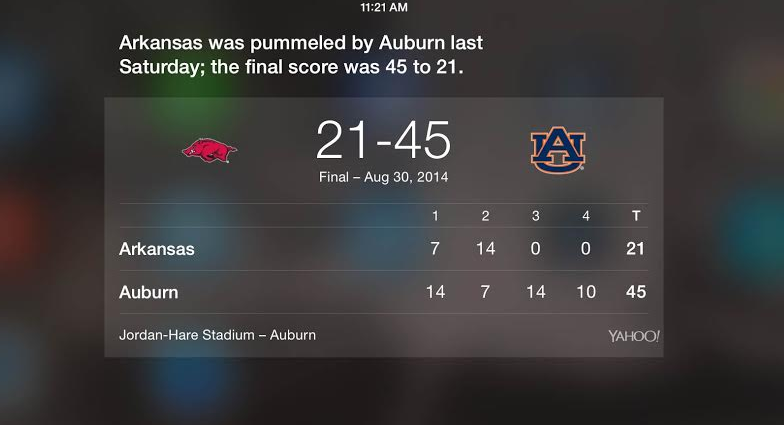 YesSiri, the Hogs straight up took a beating on Saturday. You could call it the Tim Cook effect. Or you could, you know, just call it obvious. 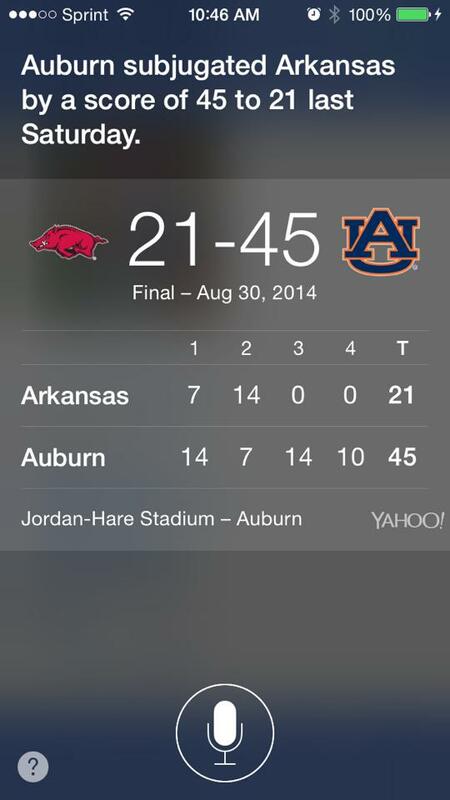 UPDATE: Auburn also subjugated Arkansas. 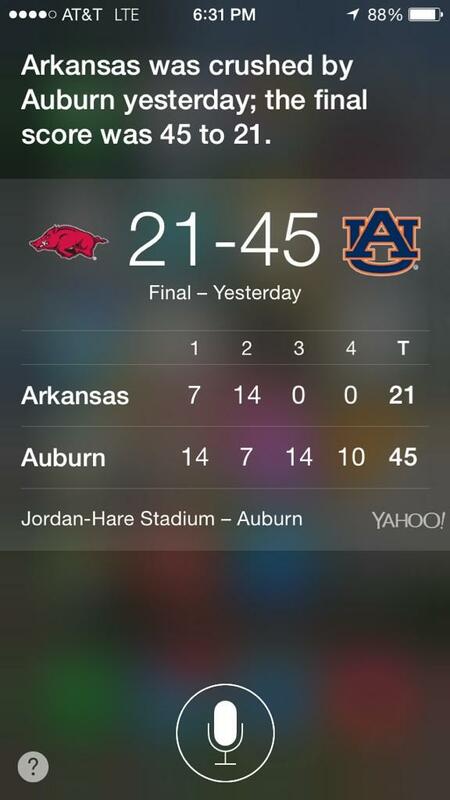 SUBJUGATED. 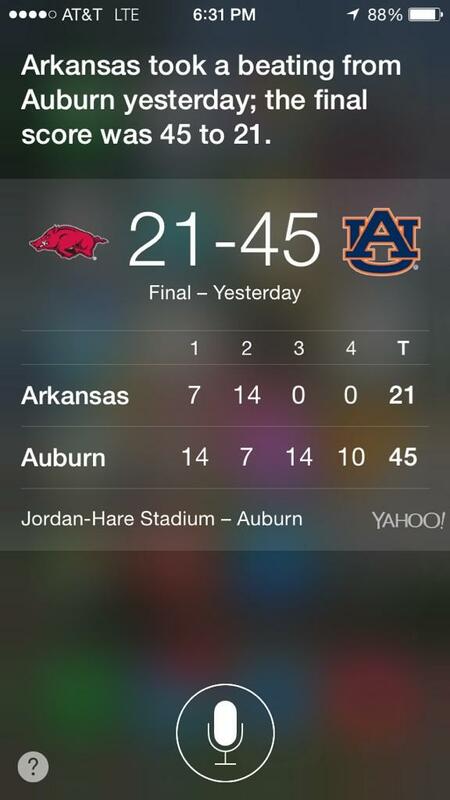 “Subjugated” ain’t messin’ around. [h/t Meredith Cooper]. 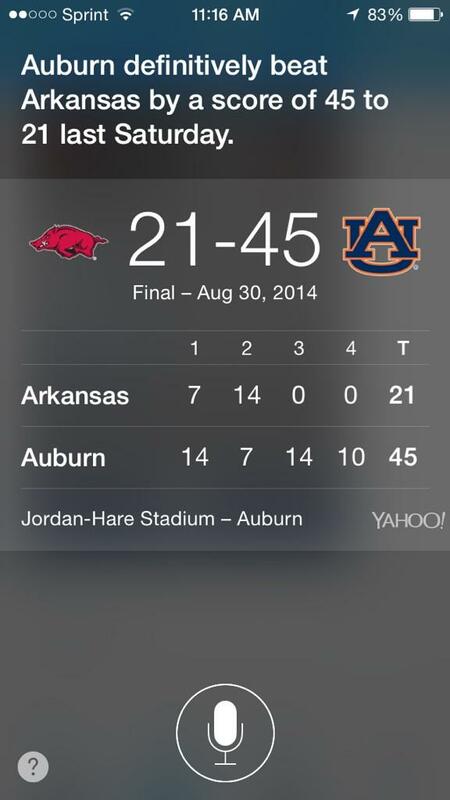 Auburn also definitely beat [via @drewmac20], pummeled, and trounced [via Kenny Smith] Arkansas.